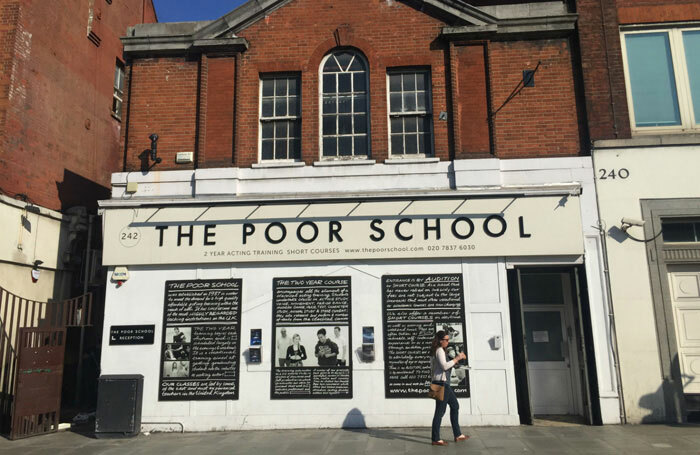 London drama training centre the Poor School has announced it is to close its doors for good after three decades. The school, which runs a two-year acting course, is no longer taking on new students and is expected to close after its final term in July 2018. It was founded by actor and director Paul Caister in 1986 as a lower-cost alternative to accredited drama schools, holding classes at evenings and weekends to enable students to train around their jobs. The two-year course costs £2,190 per term for six terms, while the school runs shorter, four-day courses. When contacted by The Stage, Caister declined to comment on why the school was closing. Royal Exchange artistic director Sarah Frankcom is among the school’s alumni, as is EastEnders star Jessie Wallace, comedian Zoe Lyons and actor James Holmes. In 2011, the school was forced to close temporarily  after a fire that was treated as “suspicious” by the police.